With all the excitement surrounding new games at E3, it’s easy to forget that products surrounding gaming are also shown off. Bionik and My Arcade were on the show floor to show off some of their upcoming products for modern and classic gamers alike. 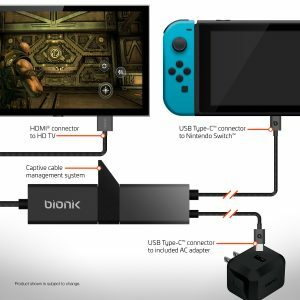 First for modern gamers, Bionik is stepping up its support for the Nintendo Switch, hoping to maximize the system’s capabilities on the road and at home. If you’re going to have friends over to play some Smash Ultimate and/or Super Mario Party, you’re going to want to make sure that all of you’re controllers are charged and ready to go. 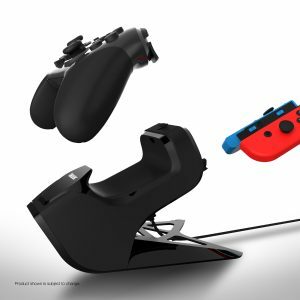 The Power Stand Switch can charge both a Switch Pro controller and two Joy-Cons simultaneously, make sure that either option is ready for you when you are ready for it. For those on the go, Bionik has two Commuter Bags coming, one of which comes with a 8,000 mAh back-up battery, allowing you to extend the life of the Switch, or charge other USB C and USB A devices. The more exciting case, however, is the Power Shield. This clamshell-style case fits snugly around the Switch, giving it an almost 3DS style look and a better surface to grip onto. A 5,000 mAh battery makes up the other half of the clamshell, extending battery life and allowing the user to get better angles for a Switch resting on a table without the use of a stand. Power Shield also comes with a dedicated dock, allowing you to charge the system, Joy-Cons, and the Power Shield all at the same time. To really maximize the potential of the Switch as a portable home console, Bionik is working on the TV Lynx. 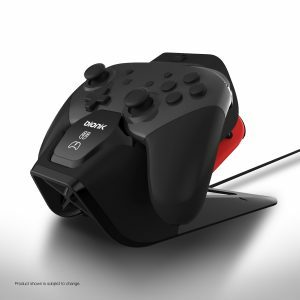 The Lynx is a portable “dock,” making it possible to play the Switch on the TV wherever you go. It’s capable of displaying the Switch and charging it at the same time. 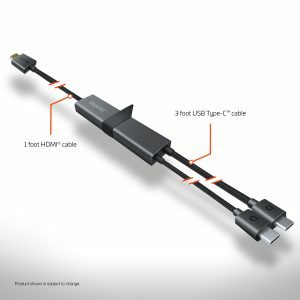 It will also work with other USB C devices. Bionik also designed the Switch Commutter Bags with the idea in mind that you might also get the Lynx and want to have space to carry it around with you. 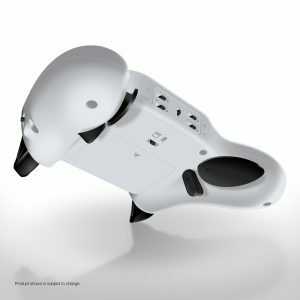 Not related to the Switch, but also for portable gamers, is the Falcon controller. 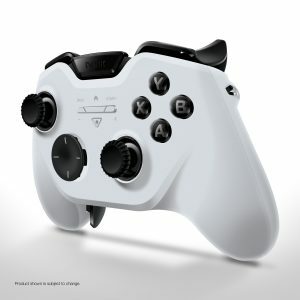 The Falcon hopes to emulate the experience of a premium controller, like the Xbox Elite controller, but at a lower cost and for Android and Windows 10. 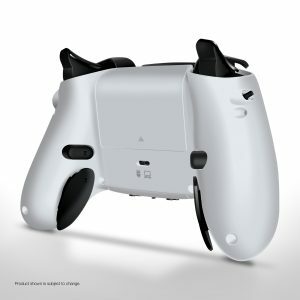 It has dual band wireless support (Bluetooth and RF with included dongle) with a range of up to 30 feet, and programmable back paddles. The Falcon is compatible with the majority of android devices, including set-top boxes. 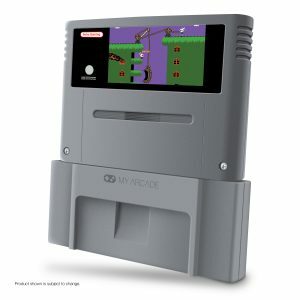 For those retro gamers out there, My Arcade is expanding upon there already great lineup mini arcade cabinets as well as creating new products for your classic consoles. 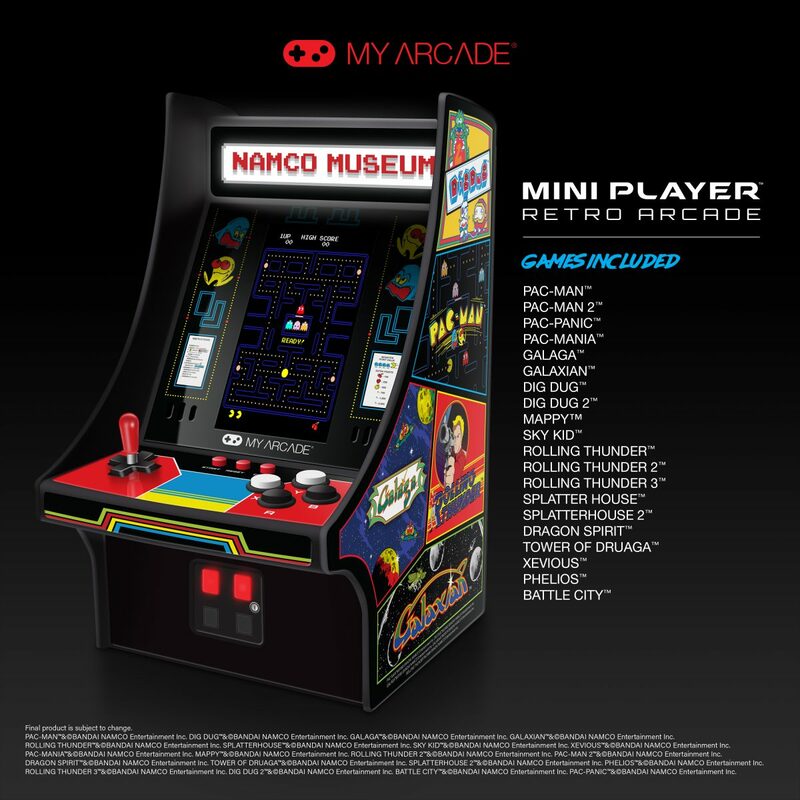 Classic arcade fans are getting the NAMCO Museum Mini Arcade, a miniaturized version of classic NAMCO arcade cabinets. This mini cabinet will feature 20 games (listed bellow). It will also have a vertically oriented screen for a more authentic experience for these games. 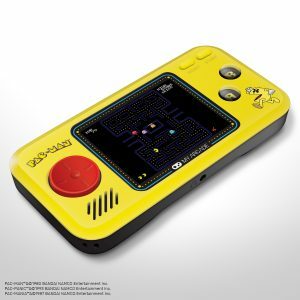 Lovers of Pac-Man get a special treat with the Pocket Player Handheld, a portable player that comes packed with Pac-Man, Pac-Panic, and Pac-Mania. 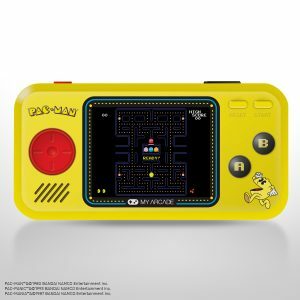 It features a 2.8 inch color screen and is powered via USB or 4 AAA batteries. Lastly is a set of cartridge converters for the NES and the SNES. These converters take Famicom and Super Famicom cartridges and allow them to be played on the US equivalent of those platforms. For those interested in playing some of those games, but don’t want to go through the hassle of tracking down an imported console, this might be a perfect option. All of these products are aiming to be available by holiday 2018. 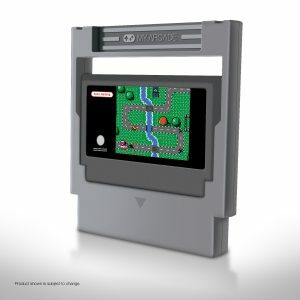 For more information on pricing and availability, keep an eye on Bionik and My Arcade‘s websites.